Opening Hours Gallery is open 11am-4pm daily. Reception takes place on Saturday, January 26, 2019, 4:30-6pm. Fee FREE to the public! 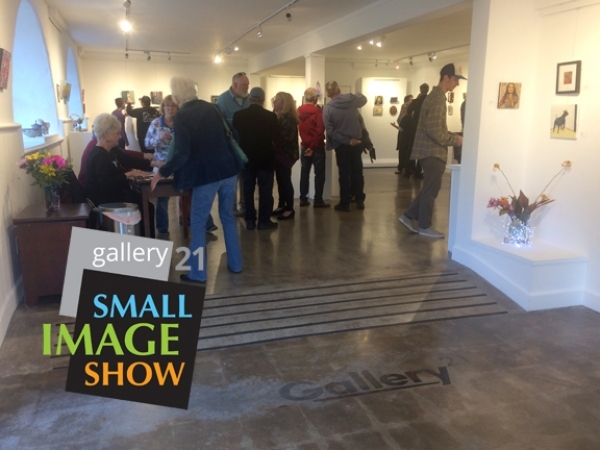 Event Description The Gallery 21 Small Image Show marks its 44th year in January 2019. This celebrated juried exhibition — started by Jim Brown back in 1975 — provides a unique challenge for the artist by utilizing a small image concept. Showcasing San Diego County artists, this event has built in popularity over its multi-year history and is a favorite to the many visitors that come year after year to see this show!